We have the availability to order any size and type of liner you need. 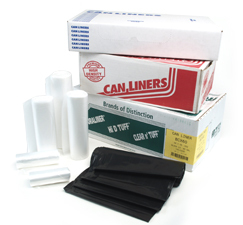 Our cases are competitively priced because they typically have a higher liner quantity per case. Whether you are hauling heavy loads or sharp objects we carry a good selection of both high density and low linear liners to suit your needs. Please contact us to help you find the best liners for your specific applications.